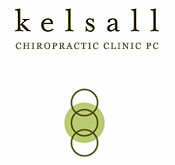 Kelsall Chiropractic Clinic was started in 1997 to create a relaxing environment for chiropractic care, massage therapy, and other healing techniques. With my background as an Olympic gymnast and dancer, and my associate Dr. Jolett Rod’s background in volleyball, basketball and track and field, we know what it takes to strengthen and train the body to perform well and recover from injury. We treat athletes, seniors, working professionals, families, and anyone experiencing pain from an injury or accident. At Kelsall Chiropractic, we invite you to enjoy our relaxing environment while you receive an integrated approach to health and wellness. Our clinic services include manual chiropractic manipulation, as well as gentler techniques. Therapeutic exercises, deep tissue massage before each chiropractic adjustment, cold laser to reduce inflammation and facilitate tissue healing, Graston Technique to relieve scar tissue, Leander Table to facilitate joint opening and relaxation, kinesiotaping/spidertaping to decrease swelling and pain. We work with each patient to develop a plan that meets his or her individual condition and that can be maintained for long term health. Contact us today to evaluate your spinal health. No matter where you are in life, your spine and nervous system are vital partners in keeping you active and in balance.